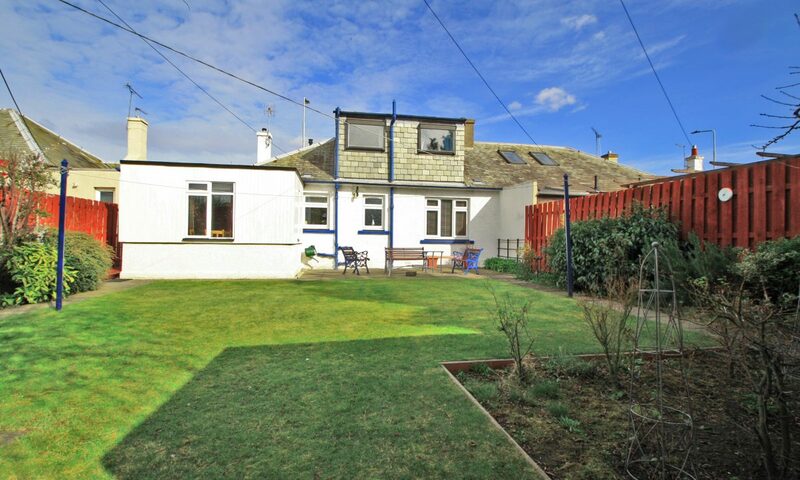 This very well-presented semi-detached bungalow is an ideal family home situated approximately four miles to the south west of Edinburgh city centre. 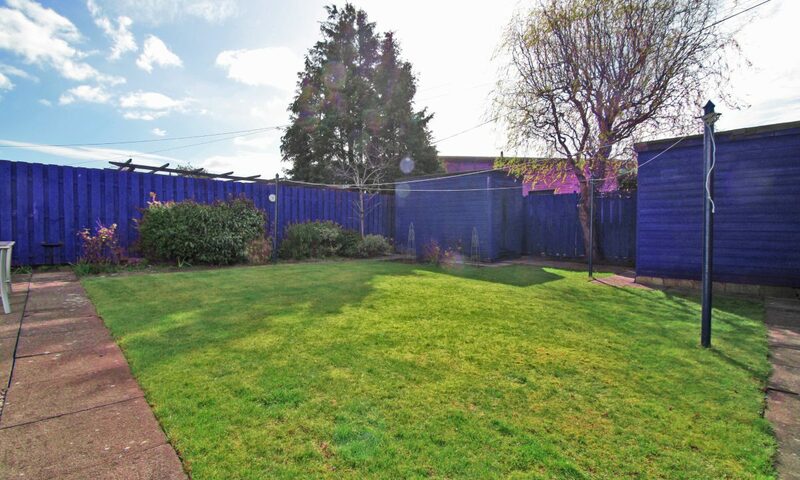 It is well placed for shopping, transport links, schools and recreational facilities. An excellent bus service linking to Edinburgh’s city centre and beyond is on the doorstep. There are plenty of convenience stores nearby, operated by both local and national companies. A Co-Op, 24-hour Asda and Sainsbury’s, are all within a short walk. For the fitness enthusiast, there are several gyms in the locale, including those owned by national operators such as Pure Gym, Nuffield Health and LIFT. The Edinburgh Corn Exchange at Chesser offers further leisure activities, including ten pin bowling and the World of Football. 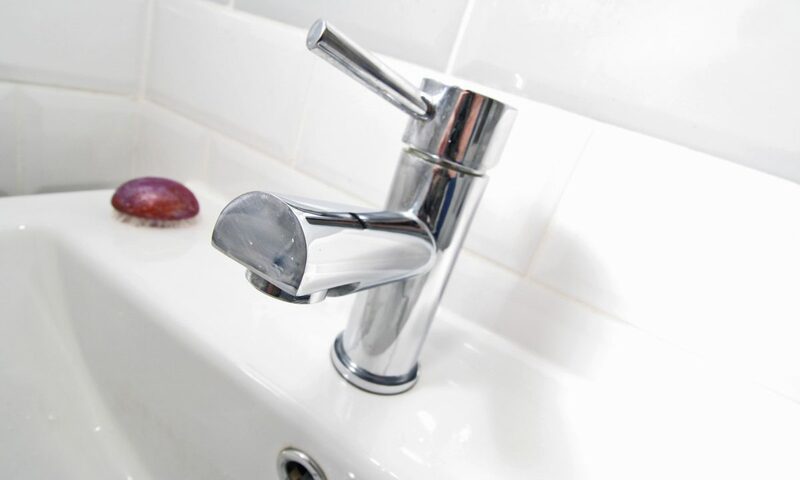 To the west, the Gyle Shopping Centre with its main outlets can be easily accessed by car or by public transport. 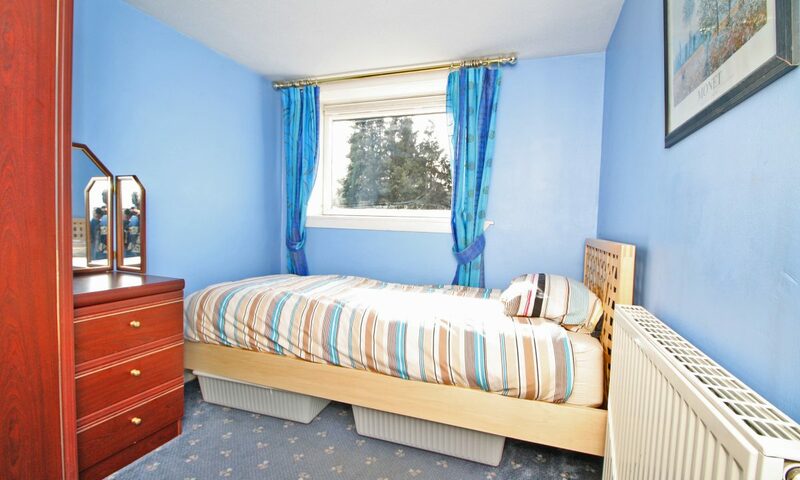 The property is within the catchment area for Firrhill High School and other state and private schools are within easy reach; as are Napier University’s Sighthill Campus and Stevenson College. 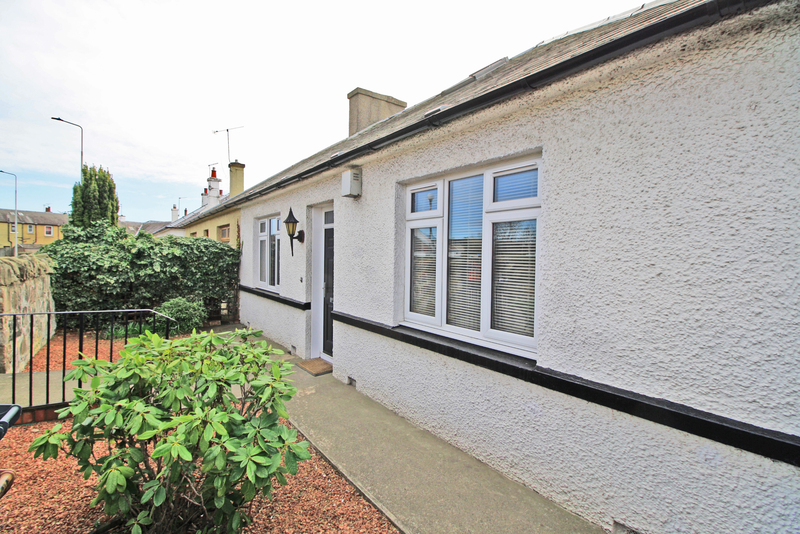 More leisurely outdoor activities, such as golf and bowls are available at the nearby Kingsknowe Golf Club and various local bowling clubs, along with the opportunity for nature walks through Colinton Dell or by the Water of Leith. Leads from front door to main hallway. 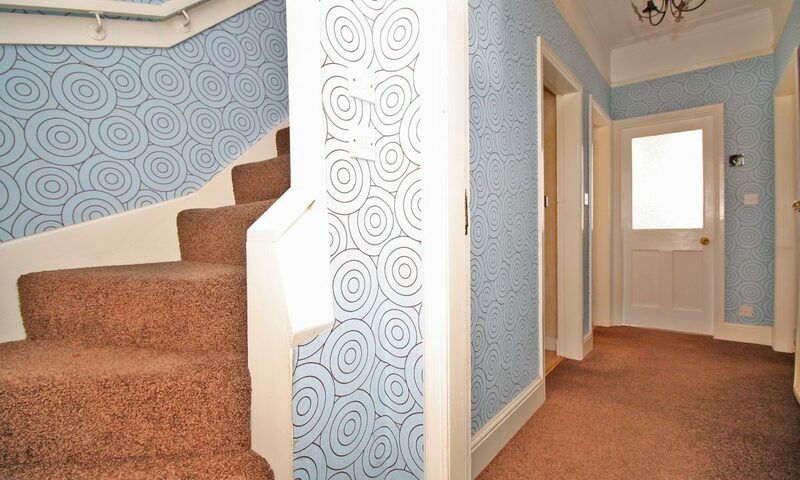 Entered by a lovely composite front door, the hallway features modern décor, a carpeted floor and a stair case to upper floor. 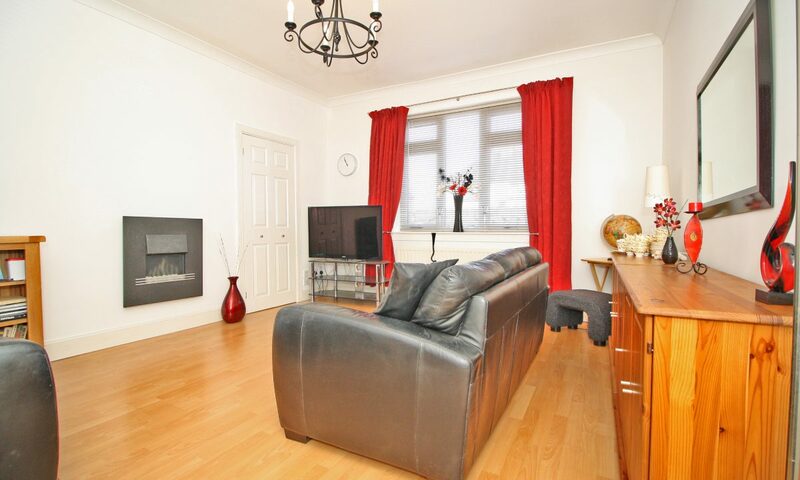 Very spacious lounge with large double-glazed window, living flame contemporary gas fire and laminate flooring. 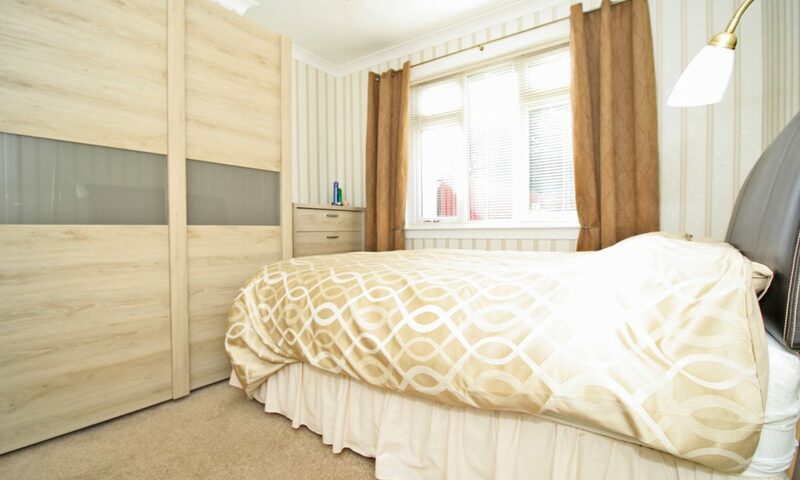 An Edinburgh press provides additional storage and a gas central heating radiator and modern light fittings complete the room. 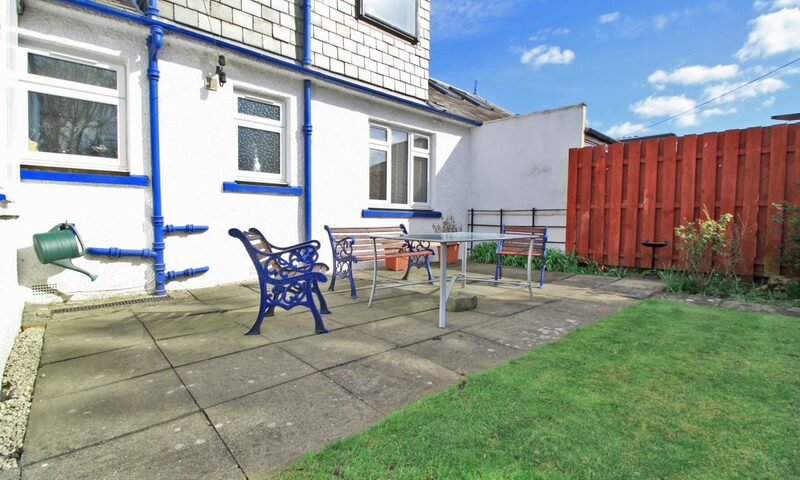 Situated to the rear of the property, this is a lovely, bright room with laminate flooring and double aspect looking out to the extensive lawn and patio areas in the rear garden. 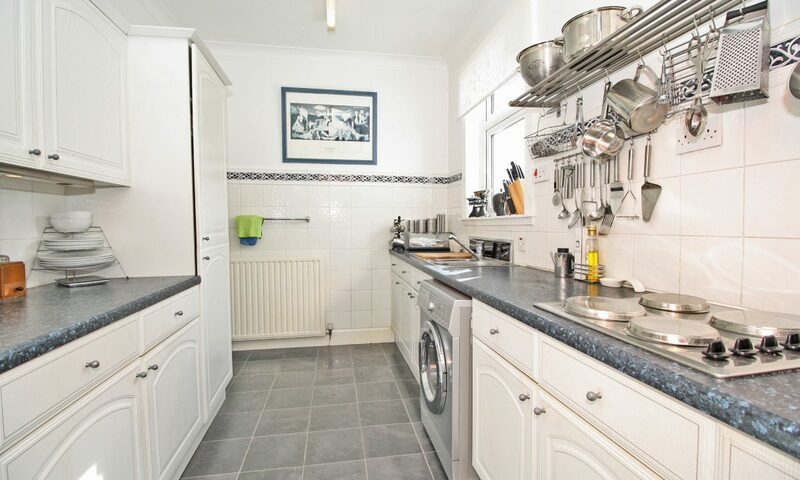 Situated with a bright, garden-facing, outlook, the kitchen is fitted with a range of contemporary white wood grain floor and wall units; together with stainless steel sink unit, fitted oven and electric hob. 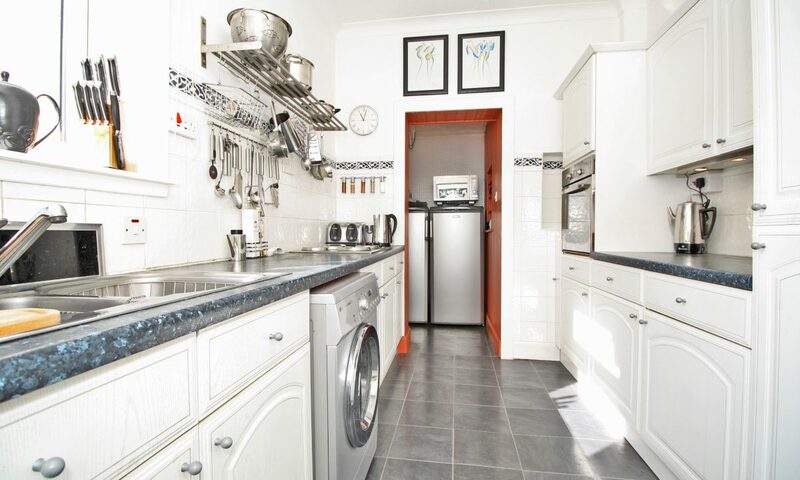 Tiled splash backs complement the grey work surfaces and tile effect laminate flooring is fitted. 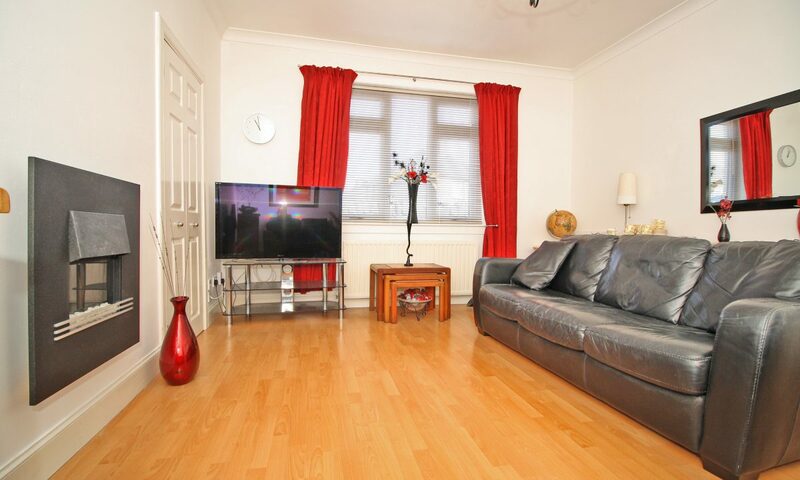 Rear facing, this spacious double bedroom has a large double-glazed window and gas central heating radiator. 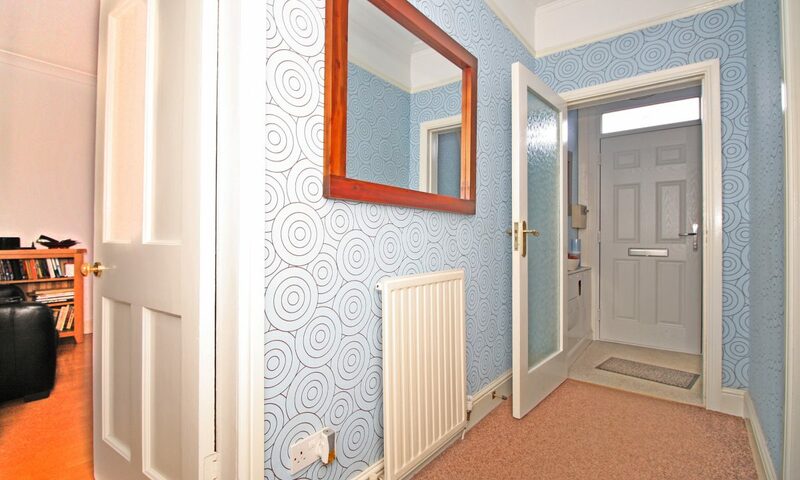 Carpeted floors and contemporary décor finish the look. 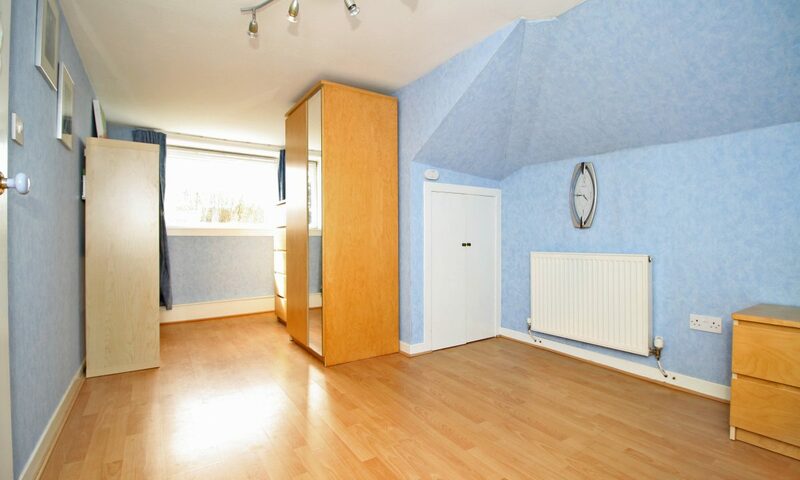 Front-facing, this second, generously-sized, double bedroom has a modern feel and, as does the master bedroom, benefits from a large double-glazed window and radiator. 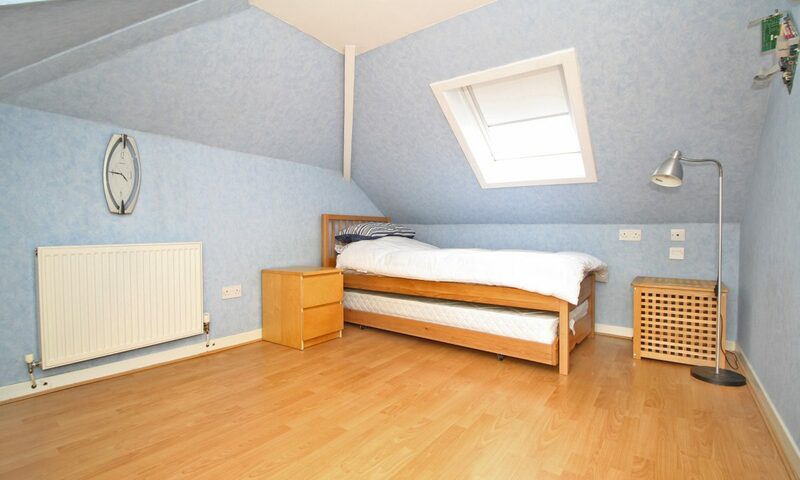 Additionally, there is a large fitted cupboard which provides excellent storage space. 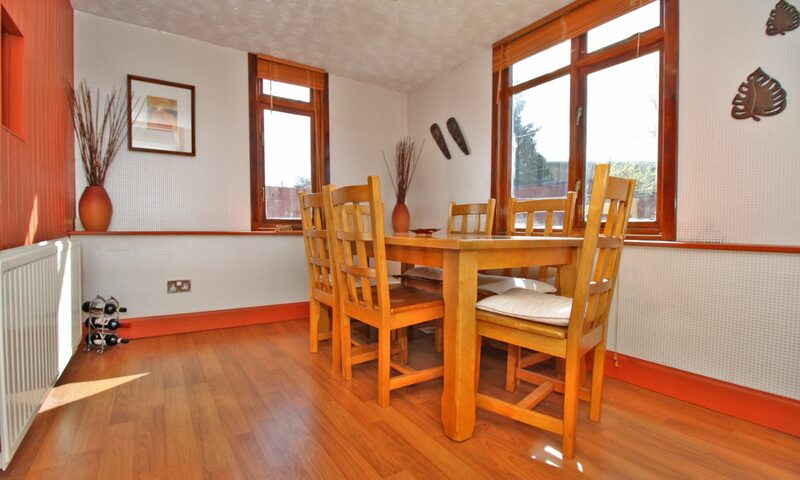 Located on the upper floor, this room features a large picture window overlooking the rear garden, gas central heating radiator and access to fitted and eaves storage areas. 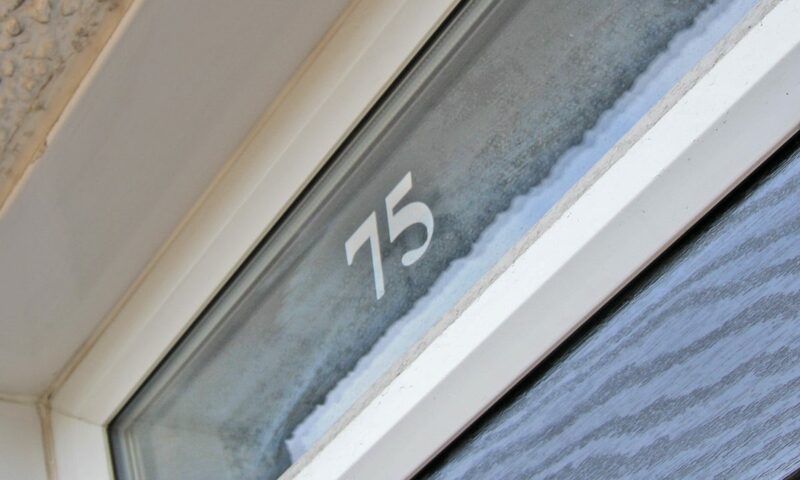 Also, on the upper level, this lovely room has a large rear-facing picture window as well as a second aspect Velux to the front and benefits from having fitted storage and laminate flooring, as well as modern décor and gas central heating radiator. 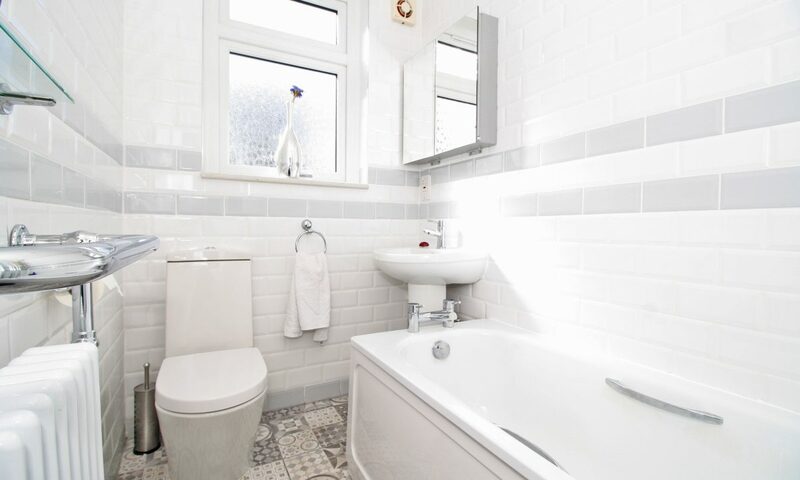 Stunning, recently installed, fitted bathroom with white stretcher brick effect floor to ceiling tiling; chrome fixtures and fittings, including classic style heated towel rail; and lovely floor tiles. 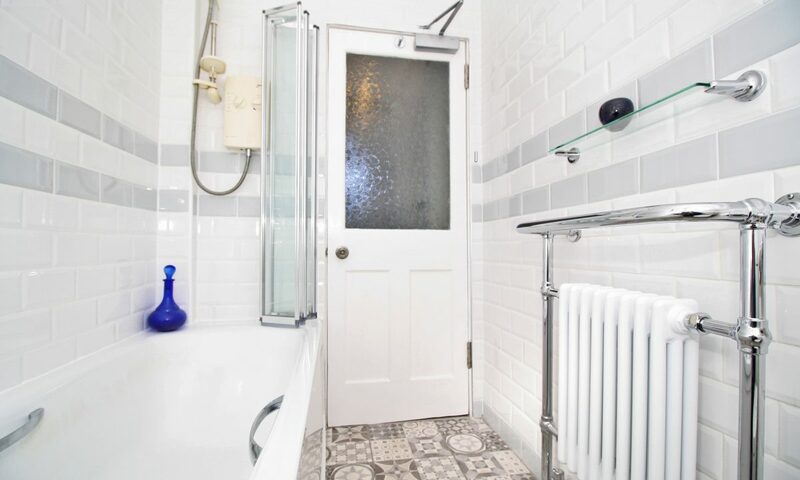 There is an over-bath electric shower, as well as double glazed window to the rear and a mirrored wall cabinet.